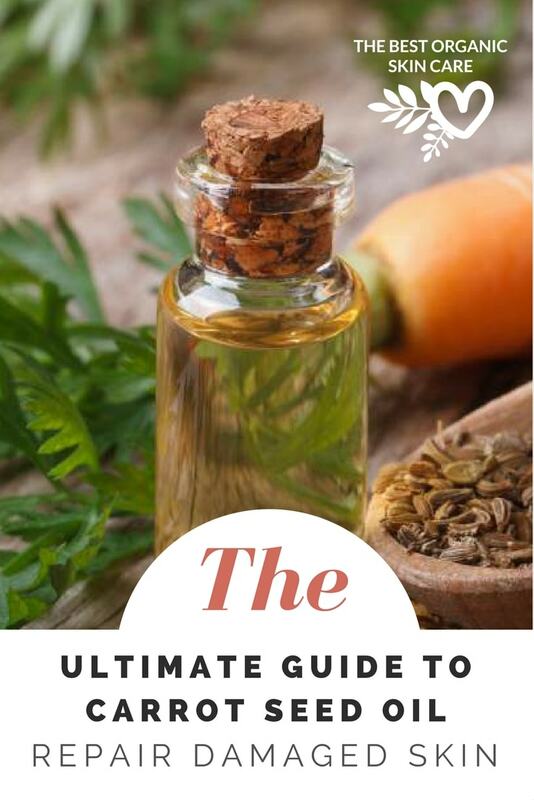 There are three types of oils that are referred to as carrot seed oil, which can make knowing which one to use a bit confusing. To clear things up we are going to cover each of these three in detail. After reading, you will know what each one is, how they differ, their skin benefits, how to use them, and what products I love. The three different types of carrot seed oil we are going to cover are; carrot seed essential oil, cold-pressed carrot seed oil, and infused carrot oil. Carrot seed essential oil is extracted from the seeds of Daucus Carota (Queen Anne’s Lace), by steam distillation. Often labeled as carrot seed essential oil. Carrot Seed essential oil (EO) has an earthy, woodsy and fruity aroma. 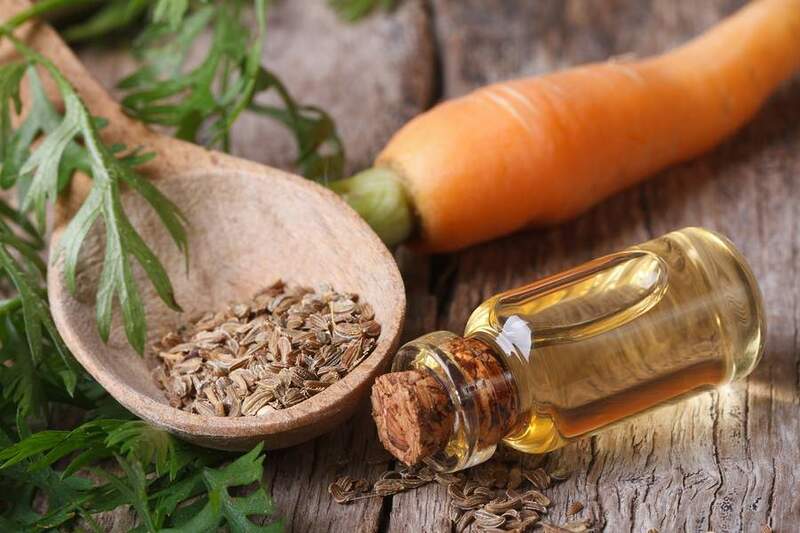 It is claimed that carrot seed oil contains Vitamin A, E, and pro-vitamin A, but this is a misconception, as these vitamins are contained in the roots, not the seeds (source). Carrot Seed EO does contain a significant amount of the pigment carotene, which gives it a yellow tone. Carotenoids are powerful antioxidants that reduce free radical damage to the skin. There is information floating around the internet stating that carrot seed EO has and SPF of 38-40, this information is a little misguided. The study that this claim is based on is a study measuring the UVA and UVB blocking properties of various herbal sunscreen preparations. Carrot seed EO was only 1 of 3 ingredients in the sunscreen that got a 38-40 SPF rating. So yes, carrot seed oil may have SPF properties, but the exact SPF rating is still not known. Carrot Seed EO is renowned as being amazing at skin renewal, for this reason, it is highly used in anti-aging formulations. It softens the skin, reduces wrinkles and combats aging with it’s high antioxidant content. Stimulates cell renewal – making it an ideal oil for wrinkle creams and facial oils. Stimulates the sweat and sebaceous glands – thus benefiting dry and mature skin. Protects skin that is exposed to the elements. Tightens and rejuvenates the skin. Repairs damaged skin – making it useful for those suffering from eczema, psoriasis, and dermatitis. Heals wounds and repairs sun spots. Balances and maintains moisture on the scalp. Strengthens your hair and prevents split ends. Carrot seed EO can be diluted and used just like any other essential oil. I source my carrot seed essential oil from Rocky Mountain Oils. If you want to learn more about why I find them to be the best essential oil brand, you can hit up this article. Mix everything together and use as a daily anti-aging facial oil. Cold-Pressed Carrot seed oil is produced by pressing the oil from the seeds of the carrot plant, much like you would produce other vegetable and seed oils. Often labeled as cold-pressed carrot seed oil or just carrot seed oil. Carrot seed oil can be used on all skin types. It helps to balance the moisture content of the skin, healing dry, cracked skin and helping reduce wrinkles. Like carrot seed essential oil, carrot oil contains an abundance of caroten﻿oid﻿s. These super antioxidants will protect your skin from UV and elemental damage. This oil has a rejuvenating effect on the skin by stimulating cell renewal. It improves skin tone and and helps eliminate water and toxin build-up. Antioxidant and anti-aging effects on the skin. Regenerates and repairs the skin. 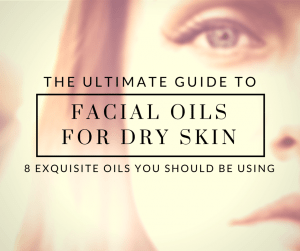 Excellent for dry, tired, dull, and traumatized skin. Increased skin elasticity and firmness. Balances and regulates sebum production on the scalp, allowing for better hydration levels and maintaining healthy hair follicles. Use in your anti-aging formulations to help balance the moisture content of the skin. Add it to your shampoo, body oil, lotion or to any other product you use on your skin or hair. I really like this cold-pressed carrot seed oil by RejuvNaturals available on Amazon. Infused carrot oil is produced by infusing the macerated roots and/or plant parts within an oil. Often labeled as infused carrot oil of macerated carrot oil. This is often called a carrier oil because it is produced by soaking macerated carrot root in a vegetable oil and then filtering the carrot out. The quality and properties of the oil will be affected by the base oil used. The resulting oil is golden colored and may stain the skin if not diluted. It contains many fat-soluble carotenoids. These potent antioxidants will protect your skin from damage and help heal skin that is already damaged. Carotenoids enhance your body’s response to Ultra-Violet Rays, decreasing the damage then cause. Carrots contain over 600 carotenoids as well as Vitamins A, B1, B2, C and E.
A skin tonic, moisturizes and tones the skin. Helps nourish dry, itchy skin. Vitamin A keeps cell membranes healthy. Natural tanning enhancer, gives the skin a golden glow. Beneficial for eczema and psoriasis. Reduces hair breakage and frizziness. Improve blood circulation and therefore, hair growth. Carrot oil is best used diluted to prevent staining of the skin. Use 20% carrot root oil and 80% of another carrier oil. Carrot oil is a skin tonic that helps itchy and dry skin. It has similar properties to the essential oil. It's not easy to find infused carrot oil, there are not many companies making it. You can easily make your own, or if you want to buy a pre-made one, I recommend getting it from New Directions Aromatics. 2 drops rosemary essential oil - get your essential oils at Rocky Mountain Oils. Blend your mixture together and use it as a hair mask. Each of them works wonderfully at rejuvenating the skin and hair and reducing signs of aging. Main chemical constituents include a-pinene, camphene, b-pinene, sabinene, myrcene, y-terpinene, limonene, b-bisabolene, geranyl acetate and carotol. Fatty acid composition will depend on what oil the carrot is infused in. I researched for hours about the Vitamin A content of these different oils. Some sources say that carrot seed oil contains Vitamin A, whereas other sources say that the seeds do not contain this vitamin. What is known is that the root does contain Vitamin A, so the infused oil should contain it. Carrots shine as a healthy skin and hair care product because of their high carotenoid content. These carotneoids are potent antioxidants that can reduce and repair skin damage. 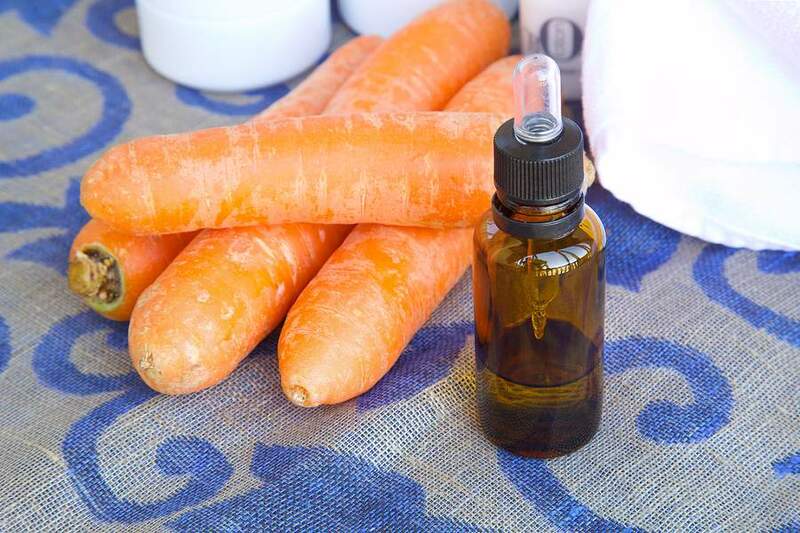 Try adding carrot seed essential oil, cold-pressed carrot seed oil, or infused carrot oil to your skin care and try it’s potent regenerative effects for yourself. Do you know if carrot seed oil contains Vitamin A? Do you have any recipes to share? Thanks Nicole! I have heard of allantoin before 🙂 and I am familiar with comfrey, I even have some growing in my yard. I have seen some products with this ingredient, Celsus Bio-Intelligence Scar Cream has allantoin in it and is available on Amazon. It never ceases to amaze me, the healing power of nature! Thanks so much Joy! We appreciate your support 🙂 Let us know how it works out for you! Hi Nicole 🙂 It is so hard to find truthful information on the internet, which is quite frustrating. I try to be thorough in my research before putting out an article, but it can be tough when source information is not readily available. 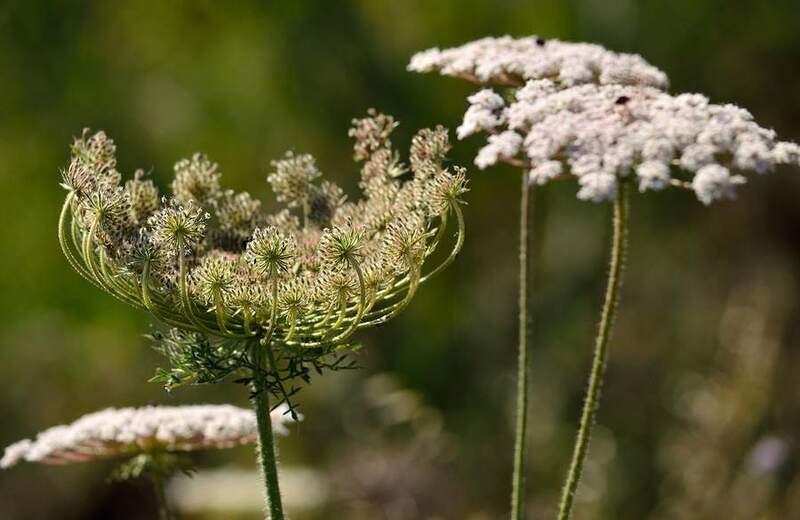 The article you linked to says that wild carrot contains a high furanocoumarin content, which causes sun sensitivity. It would logically seem then, that carrot seed essential oil would also cause sun sensitivity. 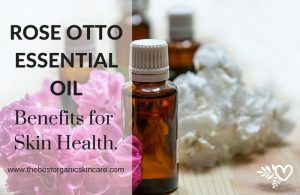 I think the reason this oil is said to have sun protection qualities is because of its content of carotenoids, which act as free radical scavengers. I would say that rather than protecting from sun damage, it instead helps repair sun damage. Hi Mary, thanks for your question 🙂 You could use carrot seed essential oil, but make sure to use it properly. 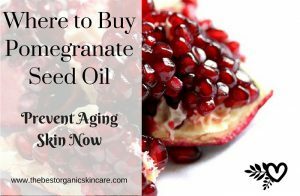 We have an article about essential oils for eye wrinkles you can check out as well as an article about treating the eye area naturally.